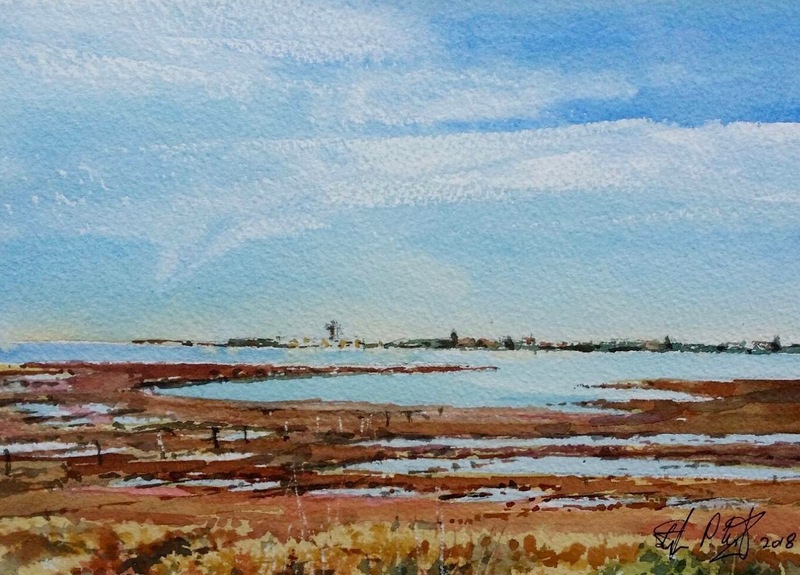 “The Coast” is the focus of artists showing at Tussock Upstairs Gallery during June. Jill Ray presents evocative wave paintings which give you the impression you are about to be witness to the crashing impact of the breaking wave. The translucent colour of each wave wall evokes a sense of peace prior to their impending destruction, the completion of their journey. 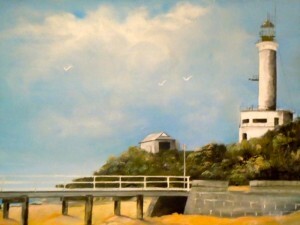 Jill is a self taught artist and has been painting for about 40 years. She has a strong connection to the sea through her surfing experiences and observing the ocean during many sojourns to surfing destinations throughout the world. 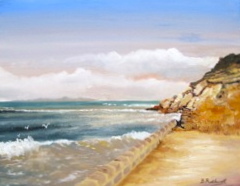 Her paintings capture the constantly changing moods of the sea; tranquil one minute, black and stormy the next; sunlight shimmering through a wave just before it breaks; the power of a huge windblown breaker thundering towards the beach. One can almost hear the roar of the ocean and expect to feel the rumble and spray of the huge waves as they crash to the shore. Her first exhibition in 2005 at Tigerfish in Torquay was extremely well received with most works being purchased by admiring art lovers. 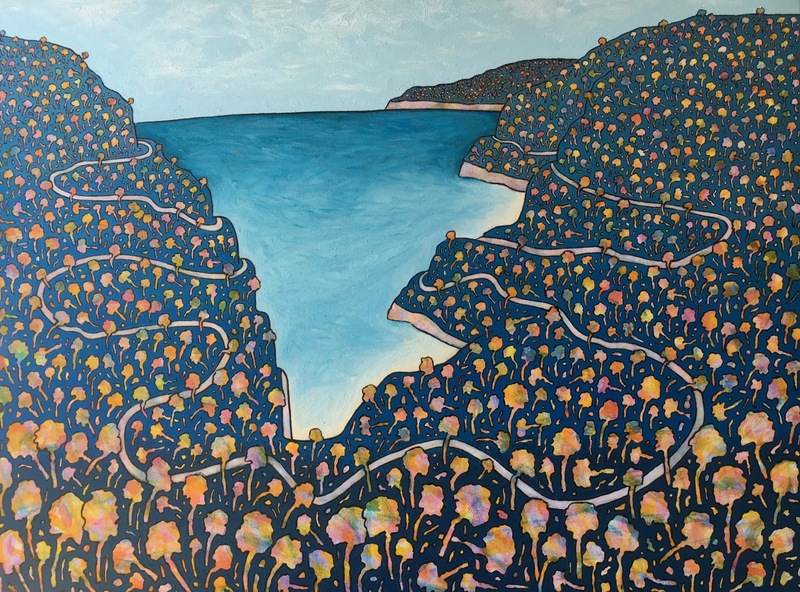 Since then Jill has had three more successful exhibitions, a return to Tigerfish, the Metropolis gallery in Geelong in 2009 and Eagles Nest Gallery at Airey’s Inlet in 2010. 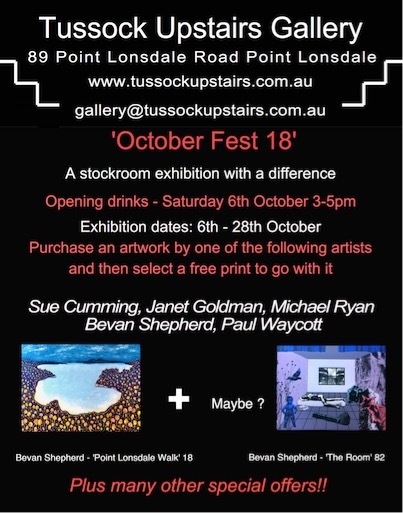 Members of the Barwon Heads Art Group also feature in the June exhibition at Tussock Upstairs Gallery. 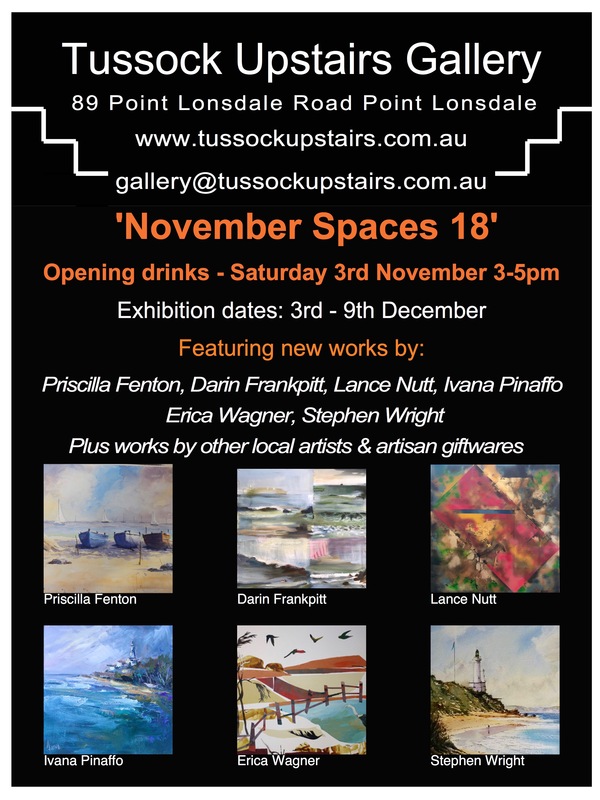 They are exhibiting works featuring local coastal views of the Surf Coast, Barwon Heads, Aireys Inlet, Point Lonsdale and surrounding areas. Each artist bringing a very personal interpretation of what they experience when they work outdoors on their many painting excursions.